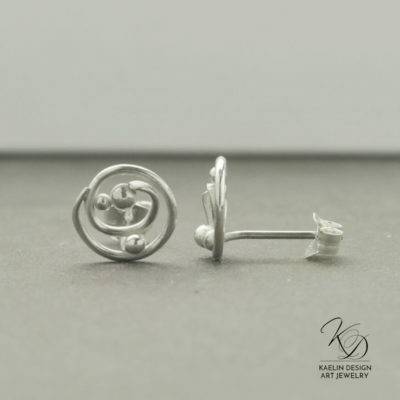 Hand forged in Argentium Silver, these tiny forged silver post earrings are 3mm wide, and are entirely handmade. These earrings are made to order, and are available as an option on any of my earring designs. 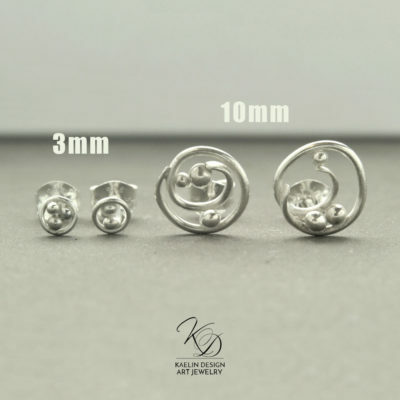 Shown with my tiny Sea Foam post earrings for size reference, These earrings are 10mm wide, which is approximately 3/8 of an inch! These fun water-inspired post earrings are made to order, and are also available with any of my other earring styles.